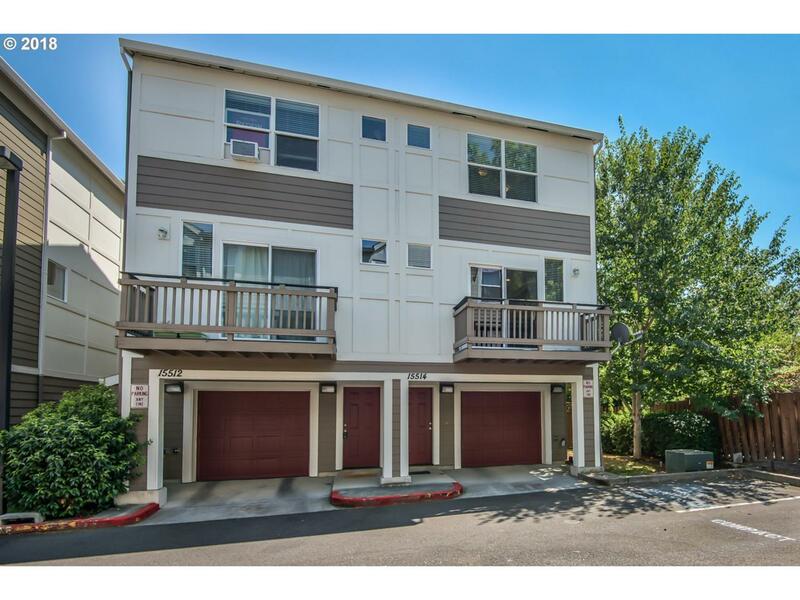 This conveniently located Beaverton condo end unit, features 2 Bedrooms, 2.5 Bathrooms, new carpet throughout. Updated with laminate floors in the kitchen/dining area. An oversized/extra deep garage with tons of storage gives direct access to the unit or the back patio area. This condo is light and bright and pride of ownership shows.